The classic black and white horror flicks remain popular even today. The images of Dracula, Frankenstein’s monster, the Mummy, and a ghastly assembly of various creatures and ghouls remain easily recognizable in the 21st century. More than a few would argue that their 1930s cinematic outings have yet to be surpassed in quality. Even if you’ve seen these films a dozen times over, there are still a lot of misconceptions about this genre, behind the scenes and otherwise, that many seem to share. So throw on a lace of garlic and keep a silver bullet handy as we clear these fallacies up once and for all . . . 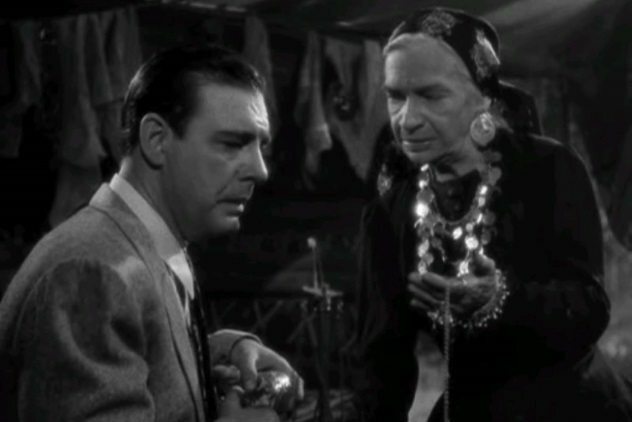 Remember that old gypsy woman’s chant to Lon Chaney Jr. in The Wolf Man (1941)? The earthy voice and Old World demeanor of the gypsy, Maleva, portrayed exquisitely by Maria Ouspenskaya, delivered the poem with such candid authority that most people assumed her chant to have been lore of the ages. Surely, it must have originated in some ancient tale or from some timeless legend. But no, it was Curt Siodmak, the screenwriter, who penned those words from scratch. Universal Studios also concocted items of werewolf folklore, such as pentagrams and infectious wolf bites, though such beliefs had not been traditionally connected with lycanthropic mythology beforehand. And while these embellishments may have been historically misleading, The Wolf Man is a howling success to this day. 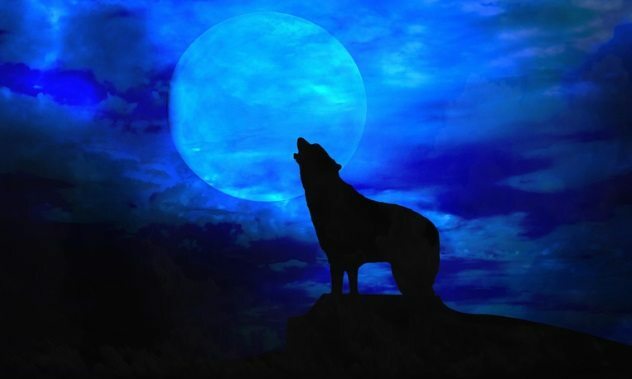 9 Do Wolves Actually Howl At The Moon? The combination is one of the most thrillingly suspenseful classic horror movie staples, both visually and audibly. First of all, if there’s a monster on the prowl, odds are that the Moon is out and full. Also, odds are there’s a wolf howling at it. But do wolves really howl at the Moon in real life, or is that just cinematic imagery? The Moon is only fully bright a few days a month, but it’s usually visible throughout its cycle at some point during most nights. But does its appearance cause wolves to howl? No. According to biologists and wildlife experts, our lupine friends are going to express themselves whether there’s a Moon out or not. While wolves do most of their howling at night, when they are more likely to hunt, and while they certainly do raise their snouts, often from an elevated stance for enhanced acoustics, it is a form of communication among themselves and has nothing to do with that big cheese in the sky. 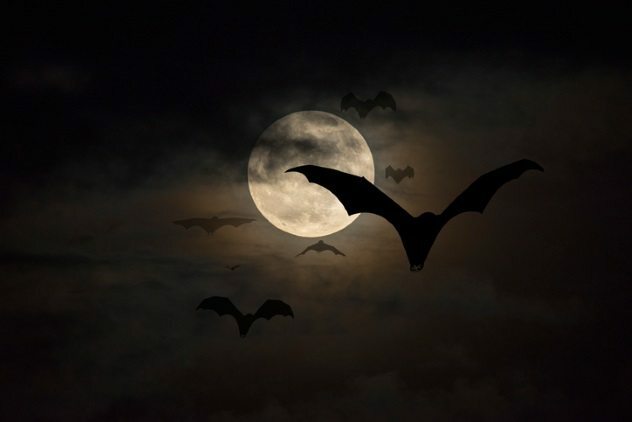 Most people think of the connection between vampires and bats to be of Old World, European origins, and Transylvania and its denizens certainly fit that description, at least in literature. But actually, the first comparison between the two unsightly creatures occurred when conquistadors arrived in the New World. When Spanish conquistadors reached the Americas in the 16th century, they encountered blood-drinking bats for the first time, and they immediately began to compare them to the vampires of European mythology. Previous to that, the indigenous people of Central and South America held many superstitions about these nocturnal creatures, but they were never rumored to turn into vampires or any other type of human. Likewise, European legends of vampires never involved them turning into bats. The two strains of folklore merged at this point, and much like when chocolate accidentally met peanut butter, the combination of the two was historic! The concept of vampires who turning to bats, and vice versa, slowly spread through the Old World, right up to the introduction of Bram Stoker’s masterpiece Dracula. Despite the fact the Motion Picture Production Code began to strongly crack down on violence, sexual content, and general immorality in 1934, the burgeoning horror movie industry had already left irrepressible imagery upon the general public which still exists today. Between the introduction of sound pictures in 1929 and the enforcement of the Code, icons of horror such as Count Dracula, Dr. Jekyll and Mr. Hyde, and the Frankenstein Monster had already become instilled unto the mainstream, and they exist today, both visually and allegorically, stronger than ever. Two other pre-Code icons of horror are The Mummy (1932) and King Kong (1933). If enforcement of the Code was perceived to have been halting such brutal influence, that was a major misconception, for both “brutes” have been recreated countless times in cinema, television, and literature. Also, the Comics Code Authority, adopted in 1954, approved content for comic books, and one of their pet peeves was gruesome, ghastly monsters. And though it finally became defunct in 2011, throughout its heyday in the 1950s and 1960s, it kept gore out of comics, shutting down many publications in the process. Conversely, during that time, Hammer Films became a prominent producer of horror flicks with gore galore. Coincidence? We think not! Everybody has seen the original Frankenstein, right? Even though the movie has been remade roughly 50 zillion times, everyone knows the original film from the 1930s and how the monster is supposed to look. 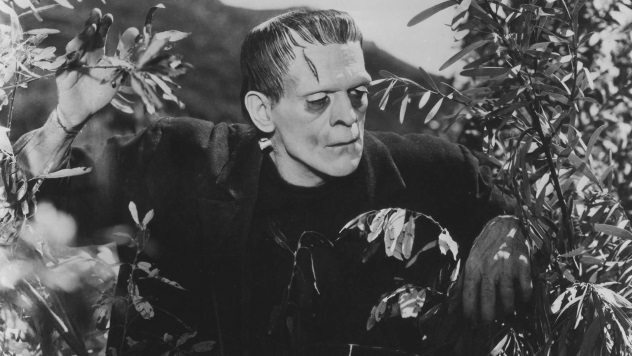 But was Frankenstein (1931) starring Boris Karloff actually the original Frankenstein? Nope. 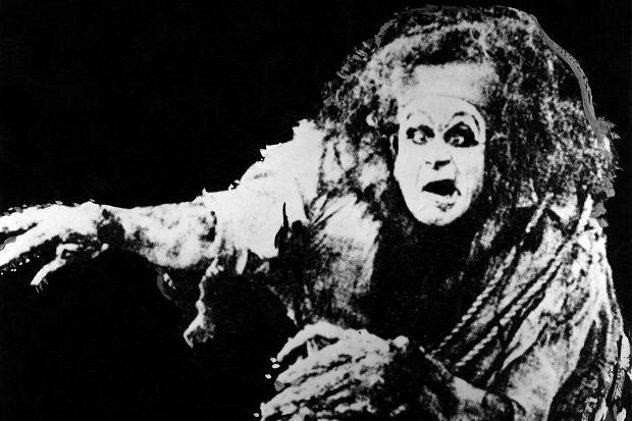 There were actually a few previous films based directly or somewhat loosely upon Mary Shelley’s 1818 novel, through which the monster’s appearance was recreated each time, including Frankenstein (1910), Life Without Soul (1915), and Il Mostro di Frankenstein (Italian, 1920). The humorous part of all this is that in his 1931 Universal appearance, Hollywood’s first Frankenstein talkie, the guy couldn’t even talk! The Bride of Frankenstein is one of the most renowned and revered female horror movie monsters ever. Her image is identifiable worldwide and across cultures, to the point that individuals who have never seen the movie might hold the misconception that the entire film portrayed and prolonged her electrified and Gothic glamour. But that’s not the case. The Bride gave the world a blunt and startling performance in 1935 which nobody could possibly forget, but really the creature only appeared on camera for less than five minutes. While most of the film led up to her creation, she basically gave a brief cameo before the explosive finale. But what a way to go! Incidentally, in the cast, the Bride is simply credited as “?,” but true horror movie fanatics know that she was played by Elsa Lanchester, who also played Mary Shelley in the opening scene. Perhaps her portrayal of the monster was powerful enough to have been billed as “!”—just saying. In Creature from the Black Lagoon ‘s (1954) first dramatic sequel, Revenge of the Creature (1955), viewers remained impressed with both the monster’s brutal stance on land and also its agile, aquatic maneuvers, but this time around, the creature had something it didn’t in the first movie: bubbles. Oh well, we are talking Hollywood here, not Biology 101. Even though The Wizard of Oz (1939) isn’t considered to be a horror movie, it nonetheless left quite a lasting impression in that genre. We’re talking about Margaret Hamilton’s iconic performance as the Wicked Witch of the West. In this day and age, people often hold the misconception that witches were always depicted in the Oz fashion, but this is not true. Hamilton’s malevolent portrayal seems to have incorporated a plethora of stereotypes about witches (the evil hag variety, at least) and made its mark on pop culture as the epitome and embodiment of exactly how a wicked witch should look. Before this, witches in literature and folklore had been portrayed many different ways throughout the centuries, often being drawn as young and nubile. 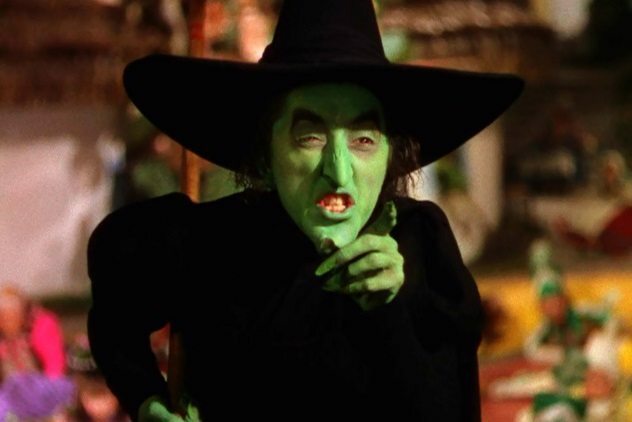 Various stereotypes, such as the black hat and robe, pointed nose, cackling, and broomsticks were brought together in The Wizard of Oz to present an image which would become the standard, and to this day, evil witches in movies, on TV, in comics, and on Halloween cards hold a resemblance to our favorite wicked witch who had a sister upon which Dorothy’s house fell. But why did she travel on a broomstick while Glinda got to travel in a bubble? It sounds unfair, but we really should blame Guillaume Edelin, French doctor of divinity and monastery member, who admitted to using a broom as means of transportation at his witch trial in 1453. Needless to say, the good doctor was found guilty and sent to the dungeon. We’ve all seen those old movies from the 1950s with giant insects or spiders let loose upon society, either due to some scientific experiment gone awry, some prehistoric frozen nest uncovered, or that old standby—radiation! We have Tarantula (1955), The Deadly Mantis (1957), Them! (1954), Beginning of the End (1957), and so many others that we should all be carrying around a giant can of Raid. But not to worry. According to entomologists, if an insect ever grew to the size of a bus, it would drop dead shortly afterward. Here’s why: Insects breathe through a method called diffusion, utilizing tracheae, or tiny tubes, which convey oxygen to the various parts of its body. But oxygen can only travel rapidly for about 1 centimeter (0.4 in) via diffusion, which limits the size of present-day bugs. There was a much higher concentration of oxygen in the air 300 million years ago, and thus, insects could grow much bigger, as fossils show. Therefore, the belief that roaches are adaptable enough to be veritably indestructible is sheer nonsense; if one were to grow as big as a Buick, it would quickly suffocate. Oh, by the way, scientists who study spiders are called arachnologists, and they basically say the same thing about their own breed of creepy-crawlies. 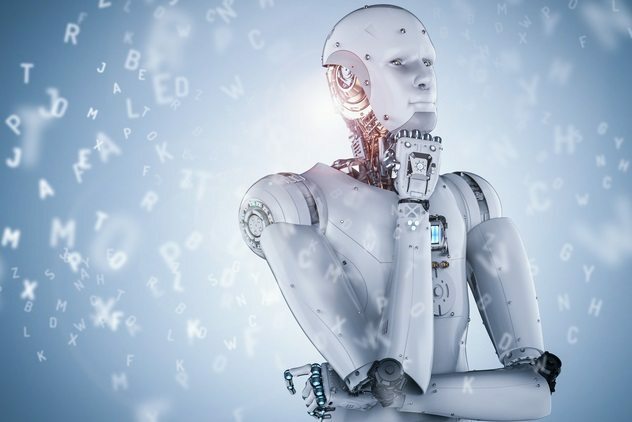 It’s an ongoing debate (often turning to argument) as to whether we should say “robot” or “android.” This actually gets complicated, at least for movie nerds. Technically, an android is a robot which looks human, but a robot can also look human—it’s just a more general term. Furthermore, the word “droid” is short for “android,” but droids are generally depicted as stereotypical robots (think Star Wars or smartphones). It kind of goes around in a circle, doesn’t it? Okay, let’s do the etymology. We’ve already determined that “droid” is short for “android” (sort of). The word “android” comes from the Greek word androeides, which means “manlike,” the “oid” suffix having the same denotation as in “humanoid” or “opioid.” Moving along, the word “robot” comes from the Czech word robotnik, meaning “forced worker” (slave?) and became the word “robot” when Capek’s 1920 play R.U.R. was translated into English. But adaptations of Capek’s play have always shown his robots looking rather humanoid. Confusing! There is, however, one more route to take: Perhaps our main misconception here is that we choose to look at dictionaries to solve such discrepancies. Maybe we should be looking at the horror and sci-fi movies in which our metallic amigos have always been portrayed. The first cinematic feature introducing a metal man was Harry Houdini’s 1918 serial The Master Mystery, in which he battled Q the Automaton. Q the Automaton? Now it’s more confusing. Read more facts about well-known horror movies on 10 Inspirations For Top-Grossing Horror Movies and 10 Horrific Inspirations For Terrifying Horror Movies.